It’s been great to see the Green Bay Packers back on the field. I’d say that this preseason seems very special for the teams and for the fans also. There’s a kind of excitement in the air. I’m not in Winsconsin, however, I don’t have any doubt about the proudness of the fans around Green Bay, and why not, the whole Winsconsin state. Last year, the Packers played against Cleveland Browns, Oakland Raiders, San Francisco 49ers and Kansas City Chiefs during preseason. The team had 2 loses and 2 wins. It wasn’t too good, but it wasn’t a disaster either. They showed up some good players that time and also improvement in comparison with the previous years. On the other hand, the team seems much better in 2017. This preseason the Packers played against the Philadelphia Eagles, Washington Redskins and last week, Denver Broncos. In the first week, the team played versus Eagles at Lambeau Field. They dominated 90% of the time. The guys recovered the balls, they showed a great understanding of the game and also, they played like they were in the season. Some names that I’d like to highlight are Ty Montgomery, Brett Hundley, Martellus Bennett and the man of the game Justin Vogel. 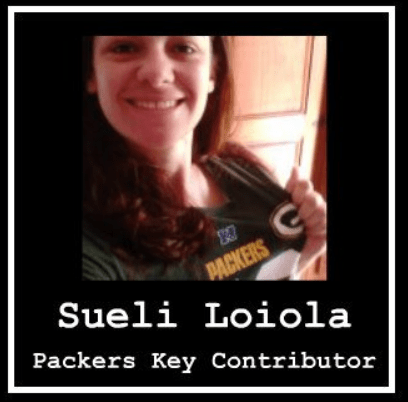 That punt return is in the Packers history – I do believe that. George Halas coached the Chicago Bears for 40 years, from 1920-1967. Even though those seasons were sporadic on occasions, he won 324 games and six NFL titles. Halas once said that he could the tell the passion of a player by the hardness of their nose and their taste for blood. That was how he picked his players and expected them to play. Two years after Halas died in 1983, the Bears won their first Super Bowl with Mike Ditka as their head coach. Ditka coached with the same no-nonsense attitude, and built a team with passion. In 2006 the Chicago Bears made another Super Bowl appearance, this time against the Indianapolis Colts lead by the young Peyton Manning. The quarterback for the Bears was none other than the dual playing action of one Rex Grossman. However, it wasn’t Grossman who took them there. It was the defense that shined that season. It was Halas who said, “Nobody who ever gave his best regretted it.” That was evident with the defense under head coach Lovie Smith. With a defense powered by the likes of Brian Urlacher, Lance Briggs, Hunter Hillenmeyer, Mike Brown, Chris Harris, Charles Tillman and Nathan Vasher just to name a few. These were the men who brought back the Monsters of the Midway. Now it is up to the Bears defensive coach Vic Fangio to put together a defense that can awaken the prolific monsters they once were. If the Bears defense can stay healthy they can do quite a bit of damage. But let’s face it, it’s getting a little tiresome to hear the phrase, “Well, we lost against the Denver Broncos because it was against the second-and-third teamers”. Uh, those second-and-third teamers may be your backups and must produce better than that! 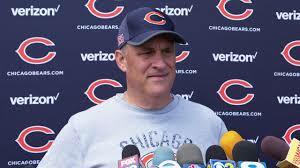 To be a real Chicago Bear there needs to be passion, grit and hard-nosed pillaging. There’s a new sport out there and this is one that brings two very different pastimes together. 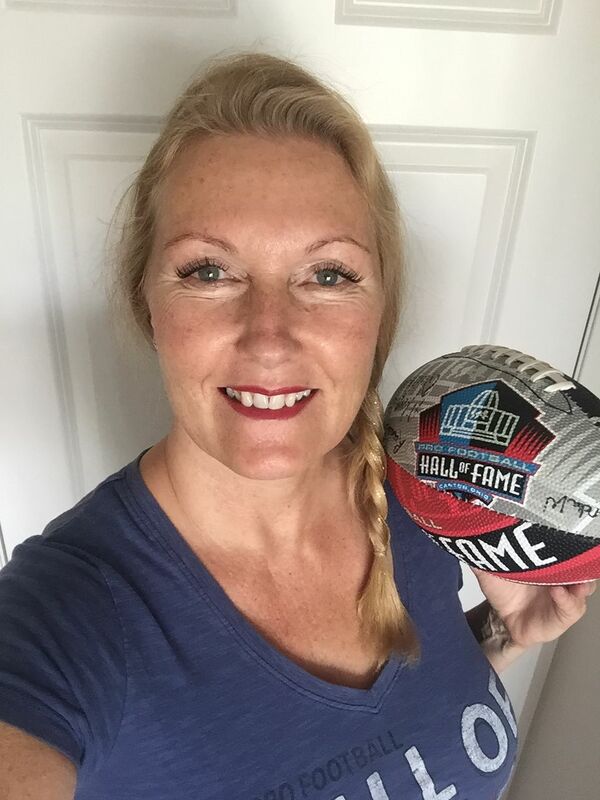 Fowling is the name of the game, which is taking the world by storm, as both football and bowling fans get their kick with it. Join us as we take a look at what’s making this sport such a success with players and spectators alike. This sport was the creation of one man from Michigan, who wanted to combine his love for both sports into one game. You need a whole lot of space to play this game, so it’s best played in a warehouse or bowling alley. It’s something of a variation that has competitors launching American footballs down a lane of the alley. If you’re looking for something similar then you can also play hybrid sports with bingo too for even more of the sports based experience. Sports seem to go well with lots of other hobbies, so it makes sense that they appear all over the place. Defense : The Baltimore Ravens played their first preseason game against the Washington Redskins last night. It was the first look at the team playing against someone else other than each other. This time they got to hit. The Ravens won the coin toss and elected to get the ball in the second half. The Defense came out the gate smoking. It was good to see the Defense getting to the quarterback and stopping their run game. I saw a mix of blitzes, pass rushing from the Defense. A few veterans played 20 snaps and then we got to see some Rookies play at least 20 snaps. Players who stood out to me on defense were Defensive End Brent Urban who had one sack, two fumbles and four tackles . Also Rookie Tyrus Bowser stood out on defense, as well. The defense as a whole showed that they are serious. This Saturday, August 12, the Tennessee Titans will face the New York Jets at Met Life Stadium in NJ for the first preseason game. 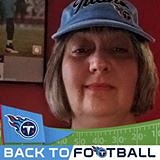 The team has announced that QB Marcus Mariota will be playing in that game; some have speculated that the Titans would hold MM out of preseason play to protect him and his surgically repaired leg (fractured during last December’s game against the Jacksonville Jaguars). 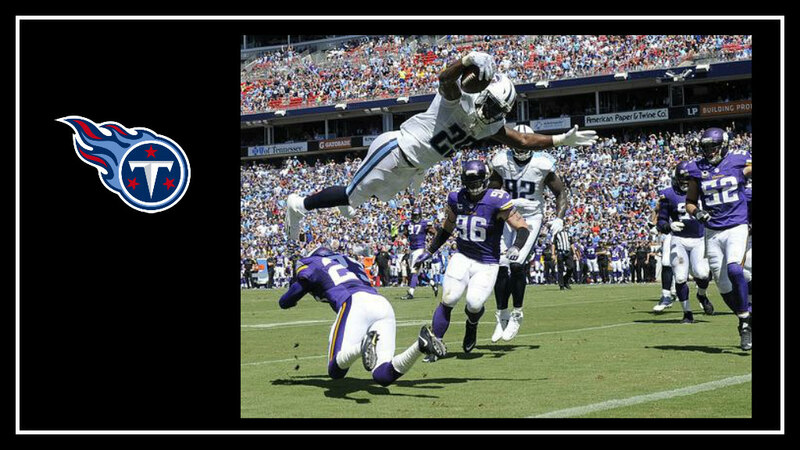 Not playing in the preseason opener though: RB DeMarco Murray and the Titan’s first draft pick WR Corey Davis, both out due to hamstring injuries. 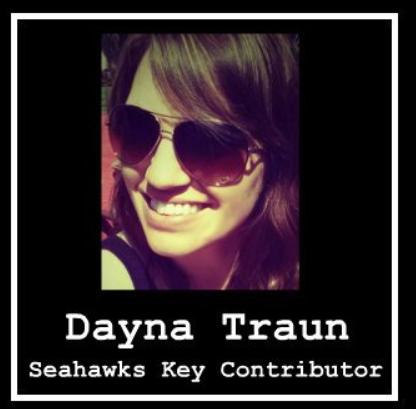 Guess who’s back…back again…Dayna’s back…and more importantly, so are the Seattle Seahawks. Offseason is officially over and Spring Training has begun for the 90 men that fill the Seahawks current roster. A mere 9 days into training and the players have yet to bore us with normalcy or complacency. RB EDDIE LACY EARNS INCENTIVE FOR MAKING GOAL WEIGHT. Hmmm. Maybe he’s on to something here? I’m going to hire his agent to negotiate my weight loss goals. Anyone want to pay me to lose weight? Please? DE FRANK CLARK WAS REMOVED FROM PRACTICE AFTER ALTERCATION WITH OL GERMAIN IFEDI. This ranks up there as one of my biggest frustrations with the Seahawks. If you can’t control your passionate energy on the practice field, with your own teammates, you don’t belong on any team. I love passion and I love energy but when it crosses a line and becomes selfish…it jeopardizes the entire team. Don’t cross the line. Rookie DT Malik McDowell made his way back to Michigan after officially ‘reporting for duty’ with the Seahawks, to finish recovering from the ATV accident that occurred in July. My Baltimore Ravens player spotlight is WR Mike Wallace who is in his second year with the team. I have followed him even though he played for one of our rivals, The Pittsburgh Steelers. He was one of my favorite players in the NFL – whenever we played the Steelers he would burn whomever had to defend him. Mike Wallace was born on August 1,1986 to the proud parents Brunel and Sonjia Wallace in New Orleans, Louisiana. He played football at an early age at O. Perry Walker High School where he played on both sides of the ball. His senior year was the most successful year where he received first team All-State honors. Having caught 60 passes for 1,039 yards with 19 touchdowns, He also was a standout track and field athlete in high school where he was rated as a two-star recruit by rivals.com. After having accepted a scholarship from Oregon State, he decided to attend The University of Mississippi where he had an outstanding college career. In each of his games he ran for over 30 yards or more. He ranked first in the SEC in yards per catch in 2007. In his four years at Ole Miss he played in at least 10 or more games and has had two 100 yard games. The Baltimore Ravens had their second open practice for the public this past Saturday at the Navy Stadium in Annapolis, MD. I made the trip with my nephews. There was a sizeable amount of fans there for Military Appreciation Day. They had it set up similar to practice at M&T Stadium last weekend. The practice started at 6pm with the team doing stretches in each of their groups. They then began the workouts in their individual drills. There were position battles, such as blocking for the quarterback, as to where the offensive linemen had to be in order to stop the defensive linemen from getting to him. Ronnie Stanley in his second yr held his own, as well as, some rookies. Ryan Jensen who will be our starting center was impressive but we will see how well he does once the season starts. Sitting on my bookshelf are two tickets. To some, it may mean nothing as regards to its value. Yet, the anticipation is killing me only for the sake of sitting in Section 251 in Soldier Field for the first preseason game in 2017. Yes, the hype is for the first preseason game against the Denver Broncos! But why should I care? Does it matter what happens and who wins? Well, to the Chicago Bears and their fans it does. Last season was a nightmare. How could my beloved Bears finish a horrific 3-14? Simple, there was no life on that team. Somewhere along the practices and planning, the players and staff lost their passion. It was as if the entire team and organization forgot how to breathe. But something is different going into the 2017 season.